One of the finest ways to lead more happier and fruitful life is to invite books in your life and let it shape your life. And the God's honest truth is, this book will make you by hook or by crook. Trust me, Readers are Leaders. 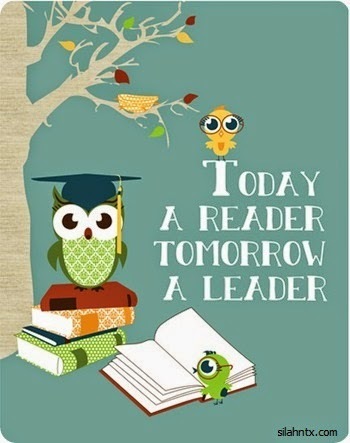 Sincere Readers are Leaders. Please let me make it clear. When I write, Readers are Leaders, I am majorly bespeaking about the Leaders who sincerely lead themselves but just a scratch of surface vis-a-vis the Leaders who lead the group or organization or nation for if you can lead yourself, you can definitely lead others. "It is one of the beautiful compensations of life that no man can sincerely try to help another without helping himself," as quoth by Ralph Waldo Emerson. May I borrow his words and say; It is one of the beautiful compensations of life that no man can sincerely try to lead others without leading himself first. Everyone of us has that ability to become Leader in one's own life because everybody has to lead oneself, we are our own leaders or else if others lead us we will be journeying away from our dreams and themes of life. The quality of leader is inborn and innate. It resembles just like the quality of our sight or smell or can even be compared to a mind. The minor difference solely lies on; The Law of Use and Disuse. We see or smell because we use our eyes and nose, respectively and the one who uses mind efficiently will be the one who will be rewarded abundantly. My earth-shattering point here is, start using and implementing your quality of leadership for your self first for you will yearn to lead others too, if you wish. Remember, that quality is already there, you just got to give a start. I absolutely believe that my best friends; books, play high-yielding and major-building role in discovering the quality of leader in you, in all of us because books have that miraculous power to transform us in every possible way provided we stay with open-minded and wide-hearted. If you are a heartfelt readers, if you read books for your life and if books fill your hunger, then my soul-felt appreciation for you, you are a true leader of your own you and I trust myself that I have become my own leader solely through the guidance of books. As times keeps on and life goes on, we are entering in the world of modernization where knowledge and wisdom have become the life of us. The one who has highest level of wholesomeness is the only one who will fit in this world while others will have to undergo many unpleasant situations. So to be armed with wisdom, you must be armed with books and to be armed with books, you got to have that magnetic power to attract books. The good news is Buddha's words; Your mind is everything. What you think, you become. Think books, train your mind for books and you can get that. Let's see the differences between A and B, A reads books much than he thinks while B doesn't have that interest in books. Obviously, A will have free and suitable mind to accept any circumstances while B will find some difficulties to deal the situation. I am sure that the one who read are far much ahead of the one who do not, because when I do compare my life at two times, it gives me a perfect confirmation on this subject. When I compare my two selves of past and present I feel that by far I have grown bolder (little older if you wish) and open-minded and confident. When I browse through the bygone pages of my mind and study them, they bespeak that I haven been living within the shell of ignorance and innocence for very long time unless I met my best friends, books, along my path. As they came into my life through my invitation, they have been building my buildings and bridges where I can live and cross the obstacles intelligently. Now I have become more unbeatable, more assailable, determined and strong-minded, vociferous and courageous, enthusiastic and optimistic and all other members of wholesomeness. I can say certainly and confidently that I can lead myself, I have that basic requirement to lead my life in much extraordinary way. I know this game of life and how it must be played and dealt with. I know the laws of our mind and subconscious mind; the most-everybody-must-know subject for mind is the engine that drives us. I know about the success and failure, how they come and go. In summary, I know the path to happiness. In short, I know the mechanism of success. In reality, I have become the leader of myself through which I can lead myself towards my giant goals and great hopes. All I am able to be what I am today is majorly through the hands and helps of my books; my miraculous friends. They have coated me with gold and wisdom making me more precious and especial for this beautiful world, I can feel that. They have enriched me with life's limitless lessons and transformed me into peerless person. They have given me hope of wings to fly towards my dreams of horizon. And if you, if all of us read books and be all clothed in wisdom and knowledge, if all of us can lead ourselves, think about the world where peace and happiness shall promise to live for eternity. My dear beloved readers if you yearn for leaders, try implementing books, it will bring wonders in your life. Always glad to read inspirational and meaningful post from you sir. Keep throwing always. With no doubt you are a true leader I say, for you have the capability to distinguish goods from bad. No one shall lead us other than self. Your writings are so influential, dear Ugyen. Yet another awesome piece. Loved it! Great Day. Take Care!